The Southwestern region of the United States is home to four states – Arizona, New Mexico, Oklahoma, and Texas. The urban areas of the region are densely populated and contain some of the most populous cities in the country. The rural areas, on the other hand, have low population density. The states in this region are also known for their ethnically diverse population which includes a large number of Hispanic Americans, Asian Americans, American Indians, and European Americans. The Southwest region is also referred to as Four Corners, as it is the only place in the country where four large states meet at one single point. The region shares its borders with Mexico on the south. The whole region has got a great Spanish influence. Spanish and English have coexisted in the region for hundreds of years and you can still find a number of longstanding Spanish communities here. Just like American English, the Spanish spoken in the U.S. is unique and dialectically diverse. The Southwestern region is known for its extreme climatic conditions. You can find some of the hottest spots and some of the coldest spots in the country here. The lowest temperature recorded so far is -50 F – in Southern New Mexico. 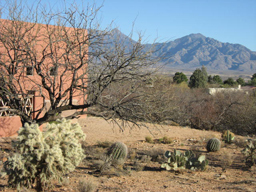 The highest temperature recorded so far is 157 F – in Southwestern Arizona. While January is mild and cool, July is really hot and dry. The climate also depends on factors like topography and elevation to a large extent since the region is home to some of the highest mountains and driest deserts. 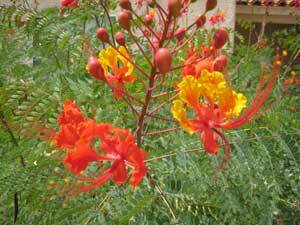 The Southwest region has a variety of flora and fauna. You can find a variety of cacti in the Arizona-Sonora Desert, agaves and yuccas in the Chihuahua Desert, Joshua trees in the Mojave Desert, saltbrush and sagebrush in the Great Basin Desert, and Junipers, pines, Douglas firs, and white firs in the mountains. Some of the commonly found animals in the region include coyote, antelope squirrels, rabbits, bison, chipmunks, and bighorn sheep. The most commonly found birds include different species of hawks, roadrunners, sage grouses, sage sparrows, and more. The Southwestern region is home to a wide range of snakes, lizards, and insects. You can find non poisonous snakes like garter and king snakes and poisonous varieties like rattlesnakes and coral snakes. You can find a number of different varieties of lizards in this region. The most popular type of lizard found in this region is the Gila Monster. It is very special because it is highly poisonous. In fact, it is one of the two species of lizards in the world that are poisonous. You can also find different types of scorpions, spiders, tarantulas, and centipedes in the desert region. All of them are poisonous and their bites can be extremely painful and fatal at times. Tourism in the U.S. is never complete without a mention of the Southwestern region. Some of the most famous tourist attractions include the Grand Canyon and Meteor Canyon in Arizona, Fort Sill and Washita Battle Field in Oklahoma, Gila Wilderness and Carlsbad Caverns in New Mexico, and the Lyndon Johnson Space Center in Texas. The region has produced some of the most popular sports persons, singers, and politicians including Dwight Eisenhower, George Bush, Mickey Mantle, Nolan Ryan, and Earl Campbell.